Where does live event promotion flourish best? Social media! Though it’s tempting to separate your online and offline marketing strategies, combining the two is where they thrive. Coverage of events is some of the most engaging of social media content, particularly on platforms like Twitter, but also across the board as long as your content suits the platform. Live events generate exciting content with great online promotion and coverage, both in the run up to the event and coverage following it. And one of the most engaging ways of following a live event? Involving Influencers of course. 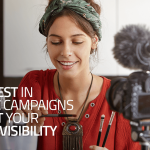 In fact, in 2015 70% of professionals found that the best way to interact with Influencers and get effective results was through campaign events, and Influencer Marketing has only gotten stronger. 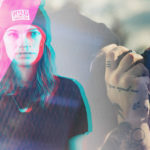 The interest around an event can be both hyped-up in the run up to it, and continued long after the event has ended with content such as images and videos. For instance, you can find Influencers such as vloggers or reviewers who are used to producing event-based content. Afterall, who best to cover your events? 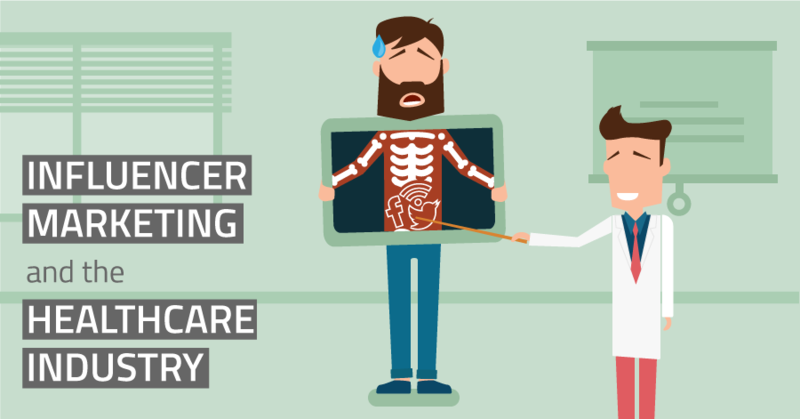 It is important to keep your event in mind, however, when inviting Influencers. For instance, while you may wish to have your event advertised globally, to realistically increase attendance or ticket sales it will be more effective to collaborate with local Influencers. If you have no relevant, local stars, don’t worry! You can engage a variety of micro-Influencers to talk about your event, and further can offer them a free ticket or another prize to share their experience on social media. You will get not only more awareness in the run-up to your event, but great content for your social media during and after. 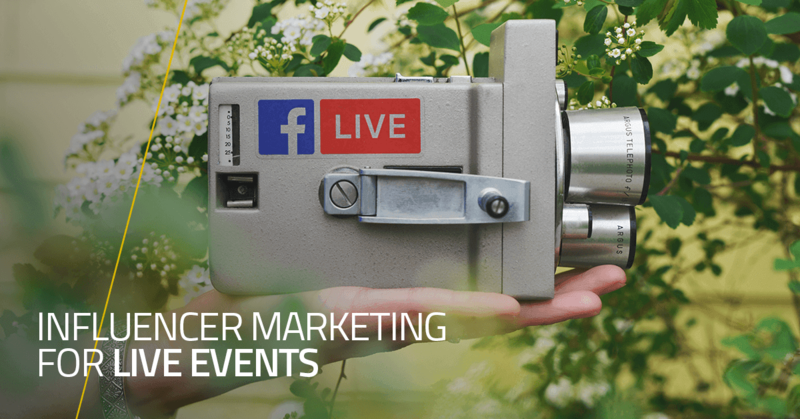 Content such as Facebook’s live video or Instagram stories are a great way to engage your audience, and generate hype for your product, business or next event. Make sure your goals are clearly defined before you start contacting Influencers, or before writing your brief on an Influencer Marketing platform like Buzzoole. In the world of modern online marketing, it’s important to also remember the basics. Business cards or leaflets, prizes (from products to gift cards), speaking at events, trade shows/conferences/conventions – what suits your business will depend on your industry, and whether you are aiming for more B2B or B2C marketing. For example prizes and conventions are more B2C, while conventions and speaking at events is usually more B2B. Think of what kind of event will work for your business, then how you can involve Influencers to help either promote it or amplify it across social media. Like any Influencer Marketing campaign, you need to focus on your end goal. For instance, are you looking to create a more positive brand image, more brand awareness, more customers, or more followers on social media? Once you have identified your main target, then you can plan your event and campaign. 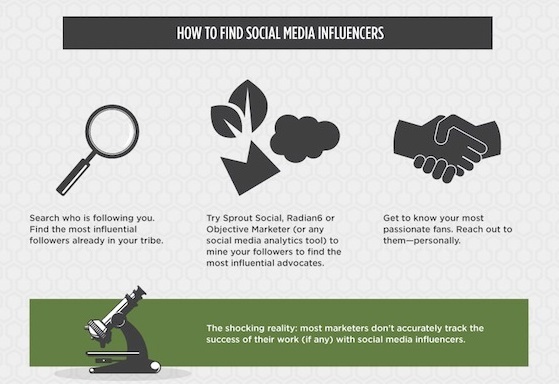 In terms of Influencers, you will need to decide how far you want to involve them. While it may be easier simply to get top Influencers to mention your event, it is usually far more effective to involve Influencers by either inviting them or getting them to participate, for example making a speech. This will draw in their followers with more engaging content as well as encouraging people to attend, and overall will create a far more effective campaign. 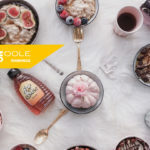 For engaging a large number of local Influencers, you can use an Influencer Marketing platform like Buzzoole to select, engage and track content that follows your campaign brief, saving both time and money and leaving you more time to focus on the main event. For YMS 2017, the Youth Marketing Strategy conference, we here at Buzzoole invited Influencers to attend the event in London with us. It was a great way to reward Influencers, find out more about their work and in meet in person the people behind the great pieces of content we see everyday. Further, given the focus of the event, it was great to get an insider opinion from an Influencer part of Generation Z. 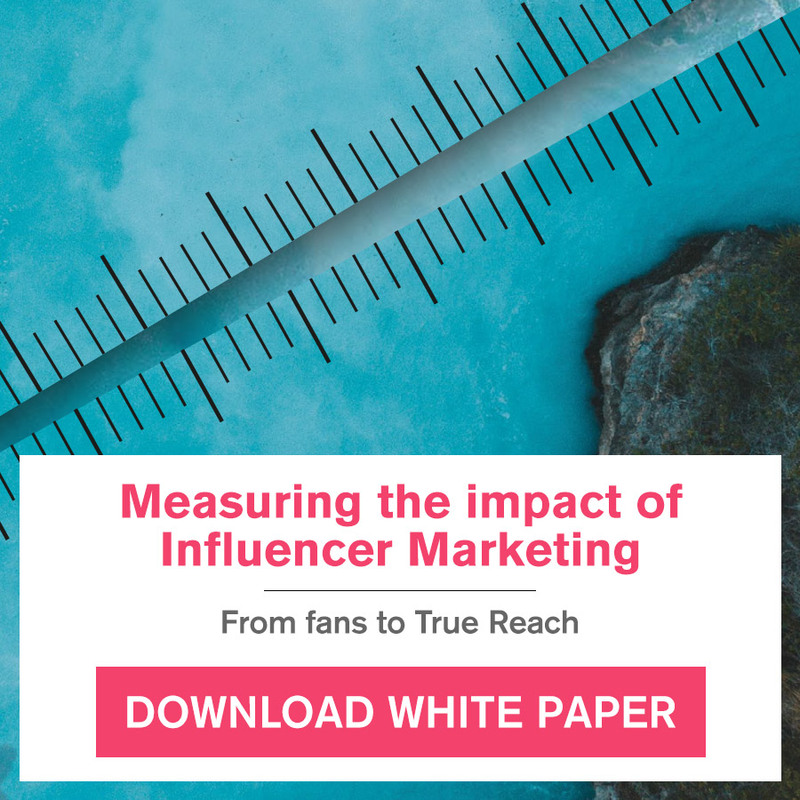 In fact, to get even more of an insight, around the same time we also conducted an interview with top Influencers to find out their thoughts on all things Influencing. Further, it was a great way to promote both Buzzoole and the conference, with the Influencers sharing their experience on social media. Live events are a great way of showing you are engaged in the conversation around your brand and with what concerns your audience, rather than simply saying that your are. 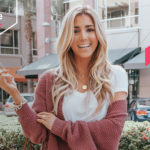 Fashion and beauty have become some of the top industries for involving Influencers, particularly on blogs and YouTube, and this is particularly notable during fashion weeks across the globe. In fact, during last year’s New York Fashion Week, 427,000 images were shared, generating more than 113 million social engagements, via Instagram alone. A great example of this was Maybelline’s New York Fashion Week campaign, where they invited top Influencers to attend top designer shows and participate in various stages of the show preparation process, for instance working as models or make-up artists. When involving Influencers, remember that you are involving a creative bunch. The most compelling content will be when they can use their skills and get involved in the event, rather than simply reporting on it, and sharing this experience with their audience. 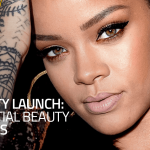 Overall, Maybelline’s 2016 New York Fashion Week campaign, involving 15 Influencers, reached over 13.9 million users from around the globe. This shows the results you can get when utilising Influencers in an engaging and entertaining way. As another example, for London Fashion Week this year, Buzzoole asked one of our top Influencers to follow the event and create Instagram stories, so our audience could follow along with the excitement. This is a great way of varying your content, particularly important on a channel like Instagram, and rewarding your audience with great content and an insider look at a popular event. 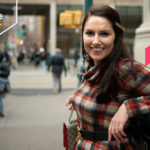 Another example of innovative thinking and social media combining for a seamless live event, and winner of the Grand Wommy Award 2017, would be the pop-up period shop open from May 13th to May 15th in New York, organised by U by Kotex. It was aimed at targeting the stigma surrounding menstruation and was initiated by Influencer Sarah Michelson’s post on Tumblr suggesting the idea for a shop. U by Kotex read the post and decided to make the idea a reality. This is more than simply inviting an Influencer, but rather they created an event around her idea. They set up a temporary shop filled with everything period related, including pads, tampons, comfortable clothes, live music, massages and more, with the proceeds going to Susan’s Place, a charity focused on women and homelessness. They shared images and other content following the event, and encouraged an open dialogue about menstruation with the hashtag #PeriodProjects, so the event could be amplified across social media, great for both the message and the brand. They have continued this project and hashtag with more activities, such as donating feminine products to charities and shelters. An important and relevant campaign. People like to feel involved through your content, in fact spending 3X longer watching Facebook Live video compared to pre-recorded video. Content that puts the customer in the moment is the most popular, and spells a future for VR events as the technology becomes more common and Facebook invests more and more in its future. Influencers are a great way to make your customers feel more involved, from directly approaching brand ambassadors to getting top Influencers to share live video experiences. For a truly great brand event, you cannot ignore the role of social media and Influencers in creating a great customer experience. Inviting Influencers to live events is a great way to engage new customers, or reward your current ones, as well as populate your social media with engaging content for a new conversation with Influencers. To find out more about how you can engage the right Influencer to promote your event, head to Buzzoole’s brand page.